The structure that Albert has created with the six questions makes the outcome very unique. No thick workbooks, but rather a handy matrix that you can use right away, even today. With that, he has placed an exclamation point after his claim: Marketing Plan Today! Every entrepreneur deserves a good marketing plan. You can get that for yourself with Marketing Plan Today, without endless workshops and meetings. Forget about the lengthy forms and complex templates. You will answer six straightforward yet thought-provoking questions which will become the fundamentals of your new marketing plan. The questions in the book and in the online module reach to the core of entrepreneurship. In just a short time, you will identify the added value of your company and/or product. You will set goals and desired results, including the basis for marketing and sales strategies. Marketing Plan Today is easy to understand marketing theory mixed with business experience. The method helps you step-by-step to make you best marketing plan whether you do that online or on paper. 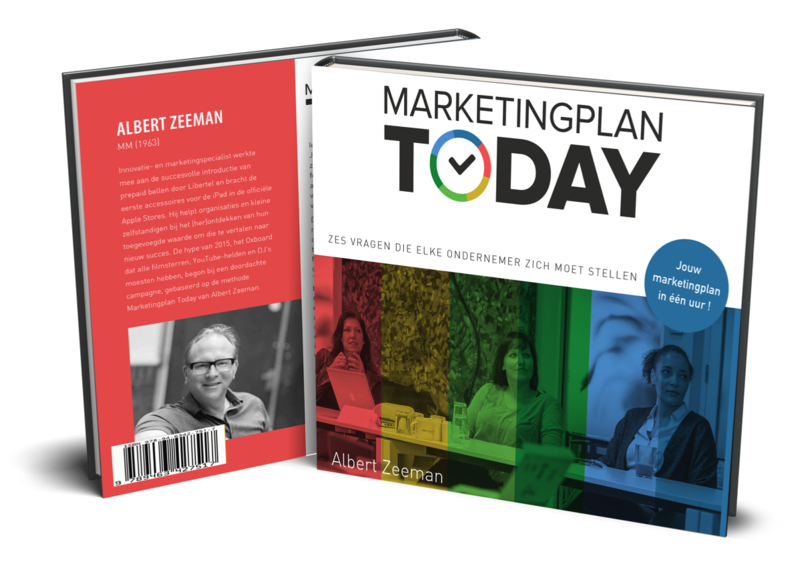 The book 'Marketingplan Today' is adapted to the USA market by co-author Robb Selander. Robb not only translated the manuscript, he also adopted several examples to the USA market. Learn the relevance of the model by typical USA examples like Carlo's Bakery and other American business icons. With Marketing Plan Today anyone can create a marketing plan within a day. Extra observations and case studies from successful entrepreneurs in their own words. Guest authors: Ben tomesen, Jeroen Gort, Geri Vogels, John Lommers, Frank Quix and Ivar Jansen will describe their experience with Marketing Plan Today.